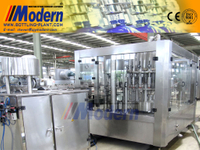 Juice Bottling Machine - Buy juice bottling machine Product on Zhangjiagang Modern Machinery Co., Ltd.
Juice bottling machine can be used for PET bottle, glass bottle filling and so on. 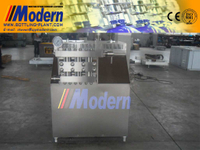 In this hot juice filling machine, the function of fluent and fast filling action, high filling precision, hot filling process, reliable capping and low material loss makes it effectively prevent secondary pollution of the neck with high automation in the whole process. 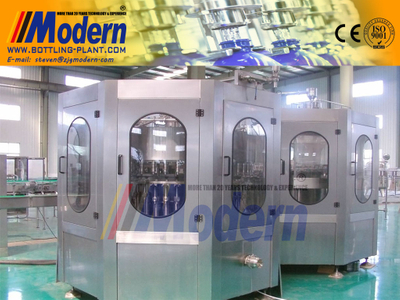 It can achieve the replacement of different bottles only by exchanging equivalent parts. 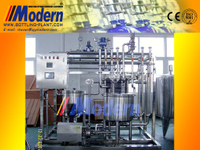 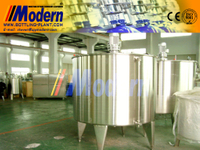 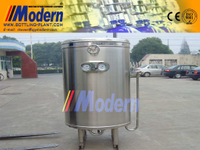 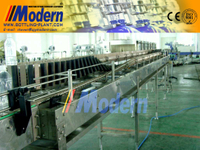 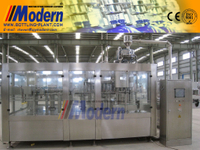 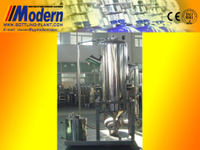 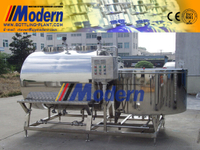 This system can also form complete set of production line with other related systems, providing proposals for full-set of hot filling Process.Cap Overturn sterilizer, bottle cooling tunnel, air dryer, shrink sleeve labeling machine and PE packing machine, which connect with hot juice filling machine, it constitute a complete juice production line. 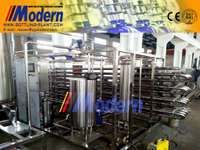 Satisfying different customers’ different requirements about the production capacity: from 3000-30000b/h, juice beverage filling, tea beverage filling, hot filling process and fruit beverage filling etc.